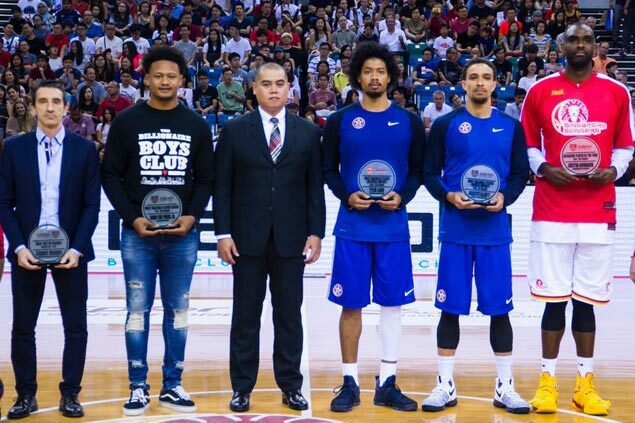 BOBBY Ray Parks added the Asean Basketball League (ABL) Most Valuable Player award to his glowing resume, winning the individual award after a fine run with league newcomer Alab Pilipinas. The award, determined by voting from all six league coaches this season, saw Parks beat Wong Wei Long and Leon Kwek of the Singapore Slingers, and Fong Shing Lee of the Hong Kong Eastern Long Lions. Parks averaged 19 points, 7.6 rebounds, and 4.2 assists in leading Alab Pilipinas to a third-place finish. The Philippine side lost to No. 2 seed Singapore in the Final Four. Alab finished the season with an 11-9 (win-loss) record. Parks became the third Filipino to win the ABL MVP plum, joining Leo Avenido (2012) and Asi Taulava (2013), both of the San Miguel Beer side coached by his father, the late Bobby Parks Sr.
After playing one season with the Texas Legends and missing the cut with the Westchester Knicks, he joined Alab Pilipinas in their first year in the ABL. The ‎2016-2017 season also saw Parks set a couple of records among ABL locals, finishing with 41 points last December in game against Kaohsiung and hitting eight triples against Saigon last January.